Program designed for rowers aiming to compete at highest level regattas - A few being the the Youth World Championship Trials; C.R.A.S.H B’s – World’s Indoor Rowing Championship; Youth Nationals; Canadian Henley; Royal Henley. 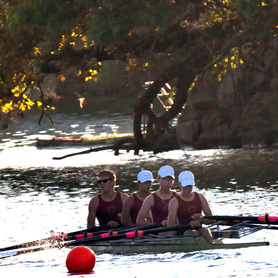 Elite rowers aim to get recruited into Ivy League and Division - 1 schools and earn scholarship to continue to row in NCAA D1 College Level Programs. We emphasize on getting our Athletes to lower their ERG scores and concentrate on getting our athletes at their best shape possible. *In order to get into Elite team athletes must pass all tests and have more than 90% attendance rate for each season including double practices during Winter, Spring and Summer breaks.